Veteran UK Labour MP Tony Benn started Twittering this week @TonyBenn - except when Tom Watson MP quizzed Tony Benn about this in the House Of Commons, Tony Benn revealed that he had never even heard of Twitter! This revelation has set the Twittersphere alight with widespread debate and discussion. With the proliferation of social media (and the ability for anyone to publish under whatever name they choose - innocently or maliciously), can it be long before we see legal wrangling over trademarks and intellectual property in social media? There are genuine celebrity Twitter users like @JohnCleese, prolific Twitterer @StephenFry, tennis player @Andy_Murray, Hammertime legend @MCHammer and Shaquille O'Neal / @The_Real_Shaq (who even phoned a doubting follower to prove it was really him). There are also a wide range of companies using Twitter too, from publishers to brands, however there have been other examples of Twitter users believing they have been following organisations that turned out not to be who Followers believed them to be. Sherillyne Starkie has highlighted one of these situations 'Janet Exxon', where Janet posed as an Exxon employee, answering questions about the direction of the company and even saying quite provocative things about the Exxon Valdez accident. 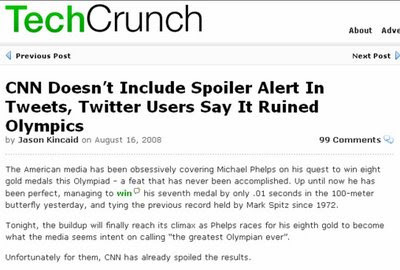 Furthermore the CNN Breaking News Twitter (@cnnbrk) was accused of ruining the Olympics after spoiler warnings weren't included in Olympic reports. This reflected badly on CNN, even though they are not behind this account - it's a developer called James Cox. Even TechCrunch thought it was an official CNN channel when they reported this story! As Sherillyne says: "Online identity continues to be a major weakness in online communications. There is no way to tell who we are communicating with is actually who we think it is. 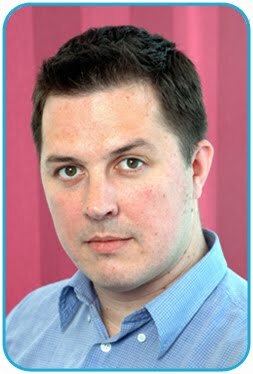 So it's crucial that organisations monitor the internet for mentions of their brands." Tools that track social media name registration like usernamecheck.com are useful, especially when coupled with Google alerts and social media listening tools. Defensively registering your brand name on as many sites as possible, whilst monitoring online activity around your brand identity seems to be the best way of avoiding some of the potential for online misrepresentation, but until there is a decent body of legal precedent I think this will continue to be a grey area - though Tony Benn's micro-blogging doesn't seem to have progressed much since the 'Tony Benn Twitter scandal' broke! Twitter fakes - enjoy but beware! Britney Spears on Twitter - and following me! This is good to know thanks for the post every business should lock their names in for the social media. Twitter has not quite hit the mainstream. Could you sell those names if you registered them? I think there's a difference between owning a www. domain and holding a social media username. The social media name depends on you accepting the t's and c's + the goodwill of the provider. I assume that any attempts to monetise a name, that was registered for no charge originally, would be frowned upon. Remember all the drama around people selling Gmail invites on Ebay when it was invitation only? Ta for the mention, friend. You never can be to careful. Or is it that you can be to careful? I think that sometimes it just comes down to good old technical covering your arse and to being lucky and no one steals your info. I rely on a little of both but not being the most technically savy individual I rely allot on luck as well. Crossing my fingers.